Safe, economical containers are designed for weighing liquid or powdered samples in the laboratory. 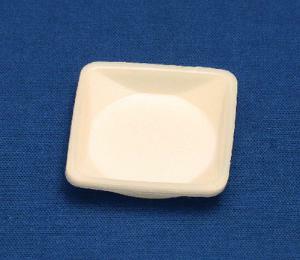 The smooth polystyrene construction features accurate pour-outs to ensure minimal sample loss. An antistat treatment is embedded into the plastic during the manufacturing process. The treatment will not rub off or dissipate, and facilitates the weighing of static-affected samples. These versatile and durable weigh boats can also be used as quick freeze trays for sample material, discard trays for broken ampules, or mixing trays for small batches.